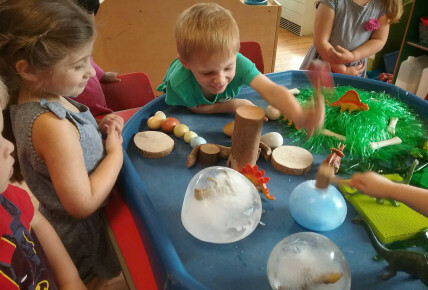 There's been lots of exciting activities happening today here at Colton Mill, as the children have been celebrating Enid Blyton's upcoming birthday. 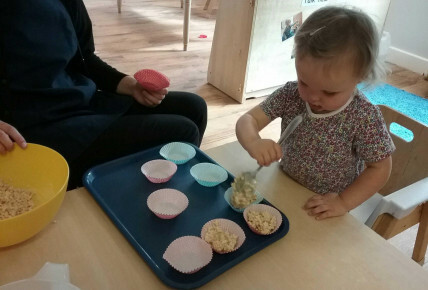 We have been enjoying some of our favourite stories, and creating some tasty celebratory cup cakes, to mark the occasion. 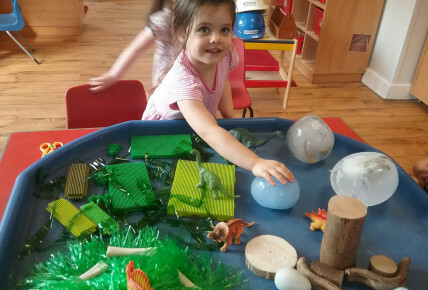 Tulip room have been using their new herbs from the dining room, to create their own minty playdough. 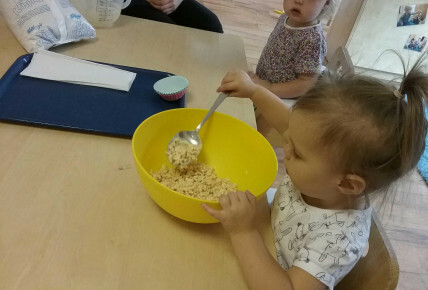 They have used ingredients from our kitchen, before having lots of fun exploring and creating different shapes, using the cutters. 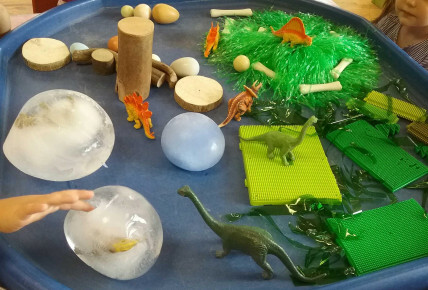 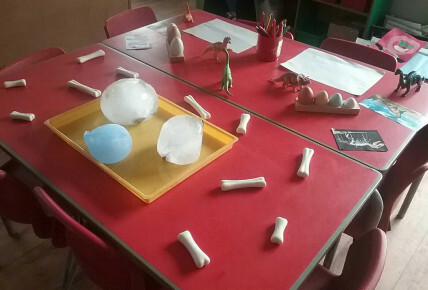 Pre-school have had lots of fun investigating the dinosaur themed tough tray, using different tools to release the dinosaurs from their frozen eggs.